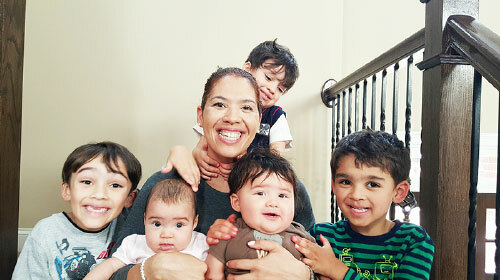 Gioula is an entrepreneur, children’s book author, and mother of 5. She had her 5 children in 6 years. Gioula admits that it was very challenging, but says that if it were not for the challenges of parenting, she would not have been inspired to pursue her current business and publishing adventures. In starting the Baby Tooshy Brand, Gioula’s goal was and continues to be to create products that would make parenting easier. She consciously looks for problems that arise within her life as a parent, and tries to find easy solutions for them. Such solutions are present inside Baby Tooshy, but also in other ventures in which she is involved.